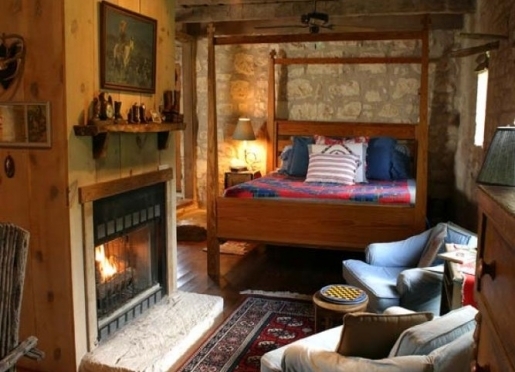 Palo Alto Creek Farm, located in Fredericksburg in the Texas Hill Country, is a true country getaway. 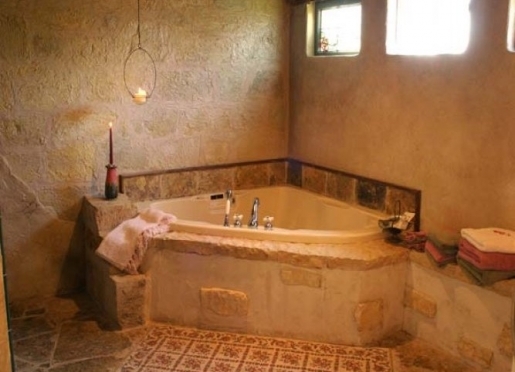 We Whether a birthday, anniversary or just a romantic weekend for two, our four unique guest houses offer all the amenities of a fine hotel with the privacy of your own home away from home. for longer stays, one of our guest houses is a fully equipped home with a full kitchen. 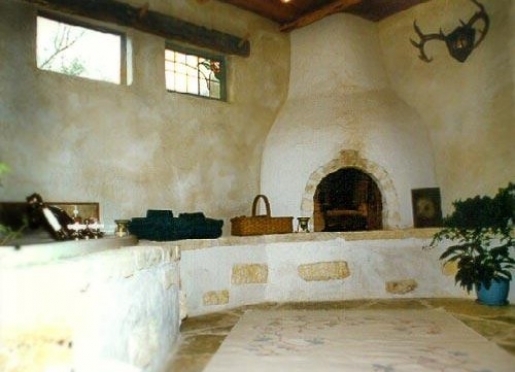 We provide the ultimate relaxation atmosphere, from our day spa and massage services, to enjoying the Hill Country breeze while sitting on the swing under the ancient grandfather oak tree—the very same tree the Comanche probably sheltered beneath. Though the Indians have gone, the Texas peace and quiet remain. Are you tired of trying to get a relaxing therapy treatment in a noisy and bustling day spa/ salon environment? 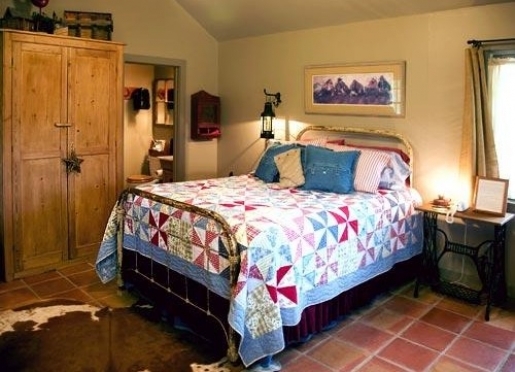 Spa rooms are designed and equipped only for therapy and available only to you while a guest at Palo Alto Creek Farm. 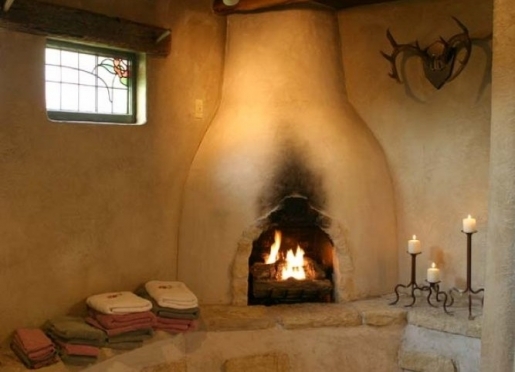 Call ahead to European Day Spa at 830-997-5267 to make an appointment for a treatment at the farm during your stay. The therapists at European Day Spa maintain a busy schedule, so call soon to have the best chance to schedule an appointment at the time of your choice. All charges for spa services will be billed through European Day Spa to be paid at time of service. All therapy services are provided by licensed professional massage therapists and estheticians that are trained in various types of massage techniques. Total Surrender Massage Therapy - available in 30 min, 1 hour and 2 hour sessions. Put your tired, stressed out body into our gentle healing hands. Your spirit and your body will surrender to peaceful balance. Your tension will melt away. A basic and deep cleansing refreshes your face and removes contaminants from your skin. Your face is then gently exfoliated, and a masque is applied to rehydrate, repair and relax. Finally a restorative massage with moisturizing lotion and sunblock will have you looking your best. Your feet are first relaxed and softened in a warm bubbling foot bath. Then a salt scrub exfoliates and removes rough spots from your heels and soles. An organic mineral mud is applied to your feet and soothing warm booties further relax and detoxify your overworked feet. Lastly, a glorious foot massage with a tingly peppermint foot creme will have you feeling as if you're taking your first steps all over again. Self Renewal: One hour full body massage, Forever Young Facial and Sole Therapy (one person, 3 hours). Couple's Retreat: Two one-hour massages, two Forever Young Facials and two Sole Therapies (2 persons, 3 hours each at the same time). Texas Monthly Palo Alto Creek Farm is discussed as one of "25 Reasons Our Lone Star State is Delightfully Different" (Dec. 2002) p 98. 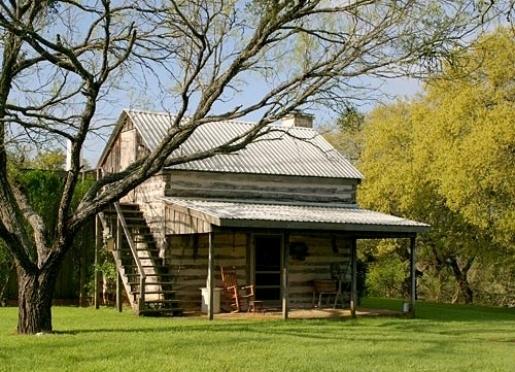 National Geographic Traveler Fredericksburg is featured along with the Farm in their article "Texas Hill Country" (Nov/Dec 2002) p. 133. If you're longing for an urban retreat to the city, we're only five miles from downtown with restaurants and activities. 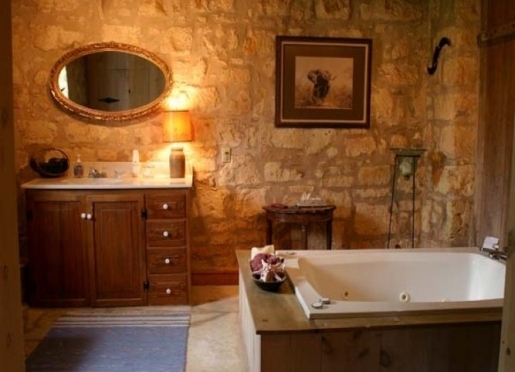 Get your fill of the hustle and bustle, visit local wineries, go for a hike among rolling hills, and then come back and relax in your very own whirlpool. In the morning, you may see wild turkeys wandering nearby the Palo Alto Creek, and in the evening see the deer grazing in the fields before the real show begins. At night, look up and see the incredible view of stars light up the evening sky. Guests are free to roam the acreage. The surrounding area is ideal for walking, running, hiking or biking. 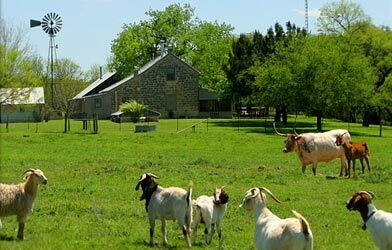 Make Palo Alto Creek Farm your choice for your next Fredericksburg Bed and Breakfast Texas vacation! We look forward to having you. 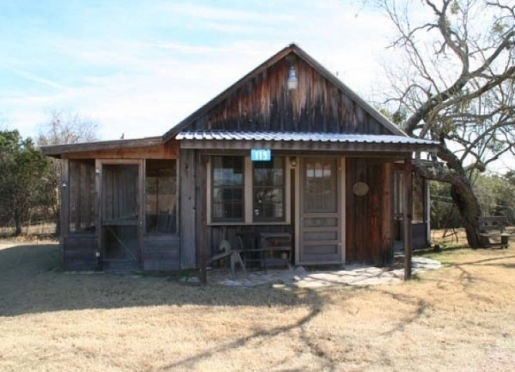 This wonderful pioneer farmstead is nestled in the hills just outside Fredericksburg, along the flowing waters of Palo Alto Creek. 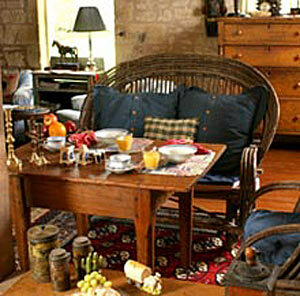 With all the original buildings still intact, step back in time to 1854, when the farm was settled by the Itz family. The farmstand remained in the Itz family for more than 100 years, offering a quiet and serene escape from city life with the hospitality of a time gone by. 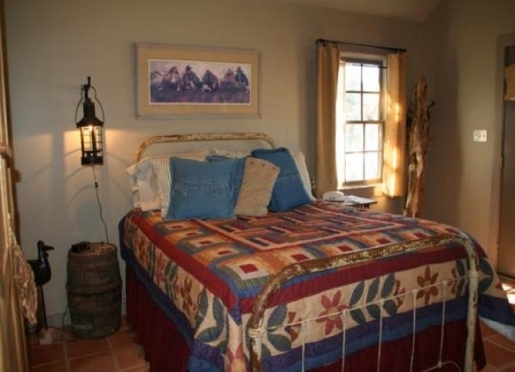 We have four guest houses for you to choose from. 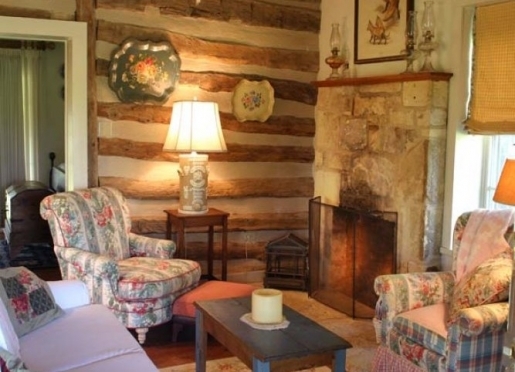 Soak in your own private bath, warm your toes by the fireplace or just relax on your porch. Every house is its own private refuge. For further relaxation, we offer full spa services and professional massage at our day spa. 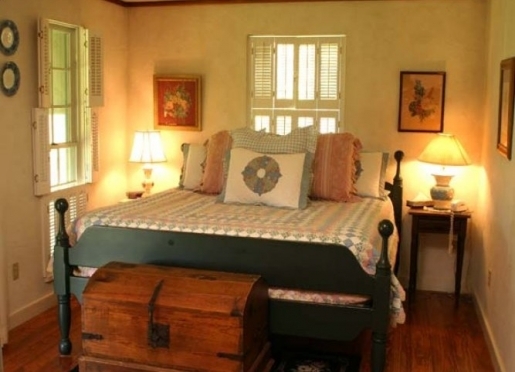 The Farm has everything to make your stay the ultimate getaway. 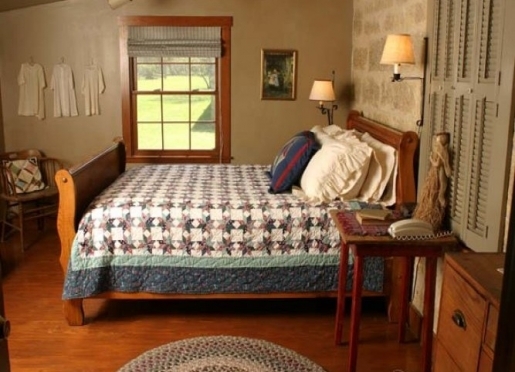 Palo Alto Creek Farm Bed and Breakfast offers four guest houses each with private baths and stocked continental plus breakfast. Depending on the house, amenities also include fully equipped kitchens, whirlpools and fireplaces. 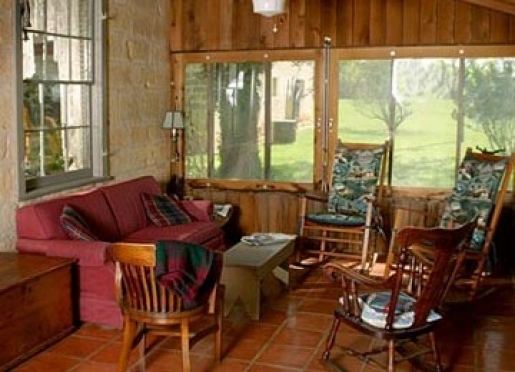 Near the B&B are gentle Texas rolling hills for relaxed activity and challenging grades for the more athletic. 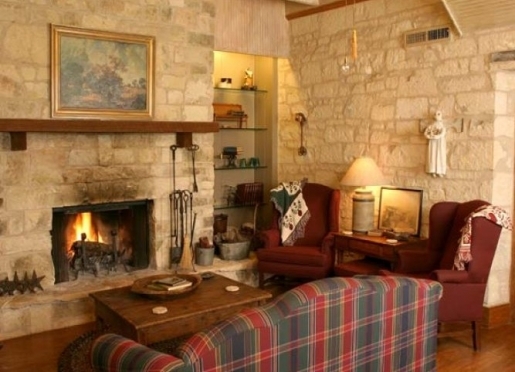 It's only five miles to Main Street and all of the Fredericksburg, Texas, shopping, restaurants and cultural events. 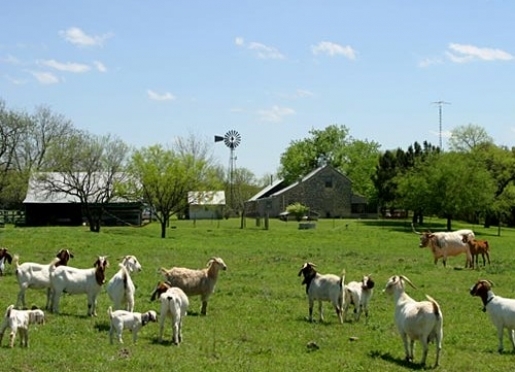 This is the place to shop and eat, and it's only five miles from Palo Alto Creek Farm. There are over 150 antique stores, boutiques, gift shops, bookstores, galleries and other retail shops in town. Dining experiences include pubs, bakeries, cafes, juice bars, sports bars, gourmet restaurants, authentic German food, bistros, Tex-Mex fare and barbecue. Rockbox Theater- experience family-friendly live entertainment from the golden era of rock n roll. Every weekend their resident cast presents a live music production filled with costumes, choreography, and comedy. The cast of entertainers stays the same, but the show changes every weekend. Fredericksburg is known for its festivals and events held throughout the year at Marktplatz, right in the center of town. Oktoberfest, Food and Wine Fest, and Night in Old Fredericksburg to name just a few. Texas wineries have been growing grapes and producing wine longer than the Californians. Our region, the Hill Country, has just the right environment to grow grapes that produce quality wines. As a result, the Hill Country is home to over half the wineries in the state. We highly recommend taking a winery tour to enjoy the local vintages. The Nimitz National Museum of the Pacific War is dedicated to the memory of the Pacific Theater of WWII. Pioneer Museum focuses on the experiences of the early pioneers at the 3.5 acre complex, complete with blacksmith shop and one room school house. The Gish Old West Museum is a private museum. Joe Gish has been an avid collector of the old west for many years and has decided to share his museum with enthusiasts. The Museum of Western Art, in nearby Kerrville, celebrates the spirit of the West, with art exhibits celebrating cowboys, Native American culture and brave settlers and explorers. Fredricksburg Art Guild features artwork by local painters, jewelry makers, woodworkers, photographers and sculptors. There's so much to do outdoors and it's all close by. You're in just the place to go biking, boating, horseback riding, fishing and hunting. Lady Bird Johnson Park has wheelchair accessible trails for hiking and viewing wildlife. Enchanted Rock State Natural Area provides a challenge for rock climbers. 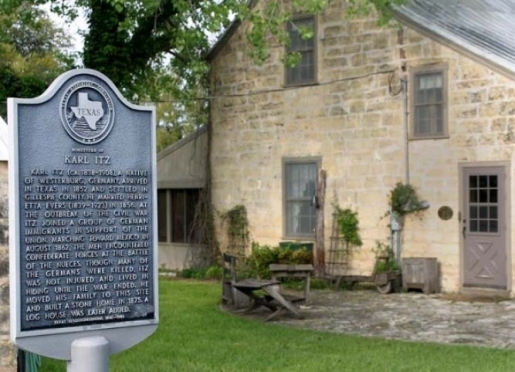 Fort Martin Scott is the site of the first Federal fort in Texas. Built in 1848, it originally consisted of 21 buildings. Old Tunnel Wildlife Management Area. The abandoned railroad tunnel is home to 3 million Brazilian free-tailed bats and 3,000 Cave myotis from April to October. Come watch the bats emerge from the tunnel each night, and nightly educational programs provide guests with a better understanding of the life, history and ecology of bats. Lady Bird Johnson Golf Course . 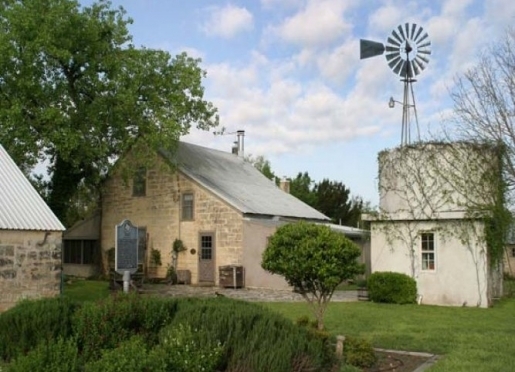 Pick your own fruits and vegetables, including melons, berries, nuts and the famous Hill Country peaches. For more information about local area activities, please visit our Area Information page.